Lilac flowers; photo by Rachel on Flickr (noncommercial use permitted with attribution / share-alike). 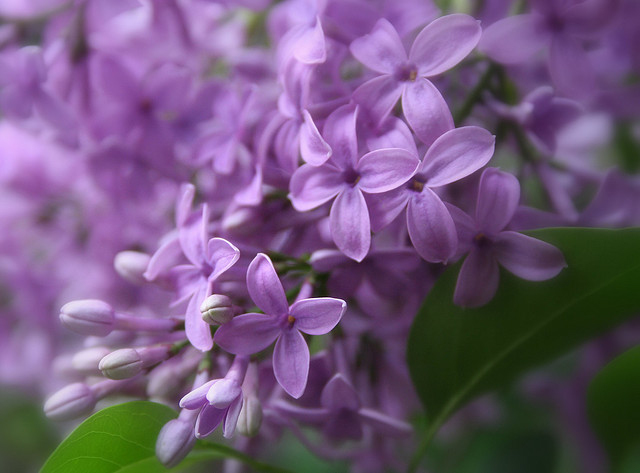 The lilac is an ornamental shrub with showy, very aromatic blooms in early spring. Lilacs have a scent that is stronger than roses that carries quite a distance. There are over 1,000 varieties of lilacs in several colors including white and pink (the most popular colors are lilac and purple). 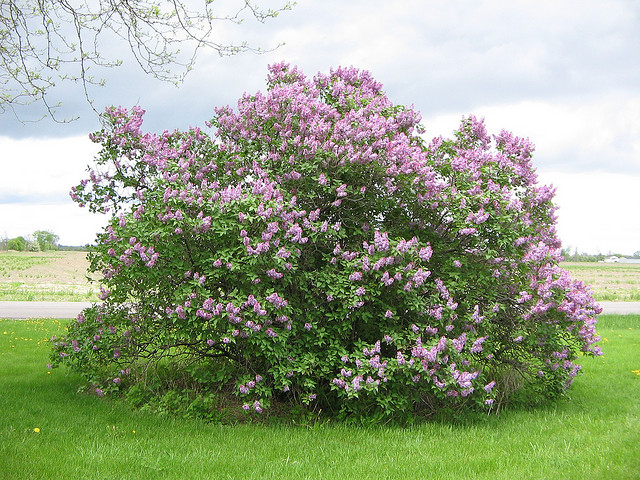 A lilac bush can live for hundreds of years. Originally from Europe and Asia, lilacs date back to the 1750's in America - they were planted in our first botanical gardens and both George Washington and Thomas Jefferson grew lilacs in their gardens. Blooming lilac bush; photo by Salticidae on Flickr (noncommercial use permitted with attribution / share-alike).